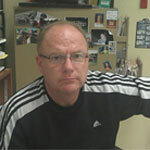 Keith Costner is an in home tutor for AP & IB History and Economics. A graduate of both Stetson and UCF Keith also holds a Master’s in Educational Leadership. He has developed his skill set from 21 years teaching AP and IB in Volusia County Schools and has been helping students of all levels understand the social sciences. A Nationally Board Certified teacher Keith also works as a grader for IB and Pearson tests so he has an in depth understanding of the assessment and marking process. Keith enjoys the challenge of preparing students for their AP and IB exams and emphasizes both content and exam strategy while always staying current on changes in the curriculum and standards. He offers in-home individual and small group prep for AP and IB Economics, US, World and European History as well as Human Geography.